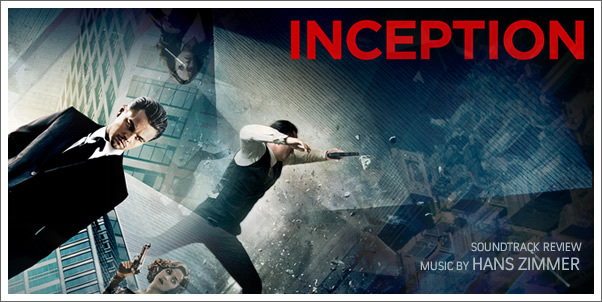 I, like a few others, set director Christopher Nolan's latest project, INCEPTION, as the film that would save the Summer of 2010. Given Nolan's track-record with efforts like MEMENTO, THE PRESTIGE, and THE DARK KNIGHT, there was good reason to do so. That amount of collective expectation; however, normally crushes the feeble foundations of most Hollywood, Summer movies. But that's actually where Nolan's strengths lie. His films, including INCEPTION, are built upon the foundation of solid storylines, compelling characters, and mind-bending concepts. INCEPTION doesn't buckle under this weight. It thrives. While most Summer blockbusters go for high-tech, visual, cheap thrills - the type that so many are quite happy to plop their hard earned money down on, Nolan says to us, "Let me entertain your brain. Let me dazzle your eyes and ears. Let me give you an experience that will stay in your psyche long after you have vacated the theatre (...or at least until you return to see it again, that is). While Nolan's early career found him paired with composer David Julyan, as the scope and gravitas of his projects grew, he has formed a new collaborative partnership with HANS ZIMMER. With BATMAN: BEGINS and THE DARK KNIGHT under their belts, (with notable contribution from JAMES NEWTON HOWARD) the two come together again to tell a doomed-love-story against the ultimate in corporate cloak and dagger, all while exploring the psychological realm of the dream. This unique concept opens the door to creative sound and musical possibilities that are rarely approachable in studio backed films. The end result is a sublime musical experience that is so tightly woven into the fabric of INCEPTION that it seldom, if ever, stands out on its own. At the same time, something indescribable or even quantifiable would clearly be lost, if this ZIMMER's score was to be removed.